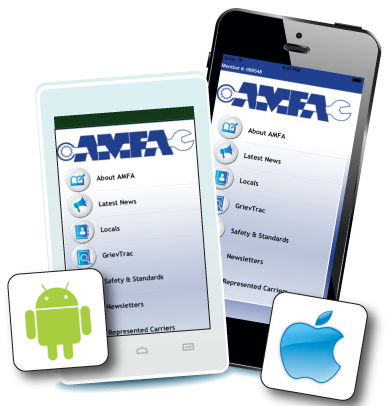 AMFA is unique in many ways. 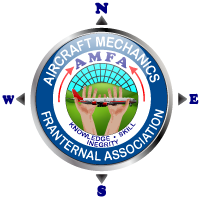 Besides the fact that we are the only craft-specific union for the Aircraft Maintenance Technician (AMT) and Related, we are also different in our structure and how we accomplish representing our membership. The next few National Briefs will explore the various roles in our Association, particularly at the local level, where the lion's share of the representation occurs. Our Association takes the least amount of dues out of your paycheck - two times base pay. Still, we are able to provide more dollars per member than much larger institutions. Half, and in some cases more than half, of your dues are being sent to the local level where it is in the member's complete control. This financial autonomy is a critical part of our structure, and is the foundation for your local's ability to finance the representation provided to its membership. The local accomplishes representation via three distinct roles: administrative, contractual, and safety. Although they are philosophically separate, there is some overlap. For this article's purposes, we will discuss the administrative role of the local and who accomplishes these functions. Each local has a Local Executive Council (LEC) elected by its members for a staggered two-year term. The LEC is made up of a President, Vice President, Secretary, Treasurer, Safety and Standards Chairman, and up to two Officer-at-Large positions. These local officers each have specific job duties as outlined in the Constitution and Local Bylaws. The LEC as a body also has duties to accomplish. In order to keep this article brief, every duty will not be mentioned, although you may look them up at your leisure. The LEC is responsible for the administrative functions of the local. These functions include but are not limited to: overseeing the local (Local President), communication and elections (Local Secretary), tending to the finances of the Association (Local Treasurer), briefing the LEC and handling local safety issues (Local Safety and Standards Chairman), and dealing with whatever extra duties are assigned (Local Vice President). As a body, the LEC meets regularly to handle the business of the local, which includes acting as the Local Grievance Committee, who along with the Airline Representative, handle grievances that are being considered for arbitration. In addition to handling the business of the local, the LEC is also involved in accommodating the contractual and safety roles. For instance, the local holds regular membership meetings where negotiation updates are given to the membership, and they help set up hotel rooms and training where applicable. A common misperception in our Association is the belief that a member of the LEC should in some way deal with their respective Collective Bargaining Agreement (CBA). Although many times the LEC member is knowledgeable on their specific contract, they should not be utilized in the grievance handling process. The Association has an apparatus to deal with that, which includes Airline Representatives, Area Representatives, and Shop Representatives. We will discuss them and the contractual role in a future issue. The LEC does get involved when the Airline Representative has exhausted the grievance process and it is considered for arbitration. They, along with the Airline Representative handling the case, and after due diligence including legal advice, will make the decision to arbitrate or not arbitrate. This is the only situation where a LEC member should be involved in the grievance process. Many times we get focused on the contractual role in our Association, to which there is no denying is an important function; however, it should be made clear that without the local and its LEC handling the business end, there would be no Airline Representative. Making sure the local communicates and informs their respective membership, and has the finances to accommodate negotiations and arbitrations, is an integral role that the LEC provides. Don't criticize them if they refuse to get involved in a grievance issue - it's not their role in AMFA's structure. They may be behind the scenes, but trust that they are accomplishing important work on your behalf-work necessary for your representation.